...... The C series include the Winbook C100 and Winbook C200. The Winbook G Series has the GL20, GL30, GL80, and GL35. The Winbook J Series include the Winbook J1 and Winbook J4. The T series is composed of the Winbook T200, WInbook TL30, and Winbook TL35; while the Winbook V Series includes the Winbook V100, Winbook V200, Winbook V300 and Winbook V400. Included in the Winbook W Series are the Winbook W100, Winbook W200, Winbook W300 and Winbook W500 while the X Series of Winbook have the Winbook X1, X2, X4, X500, and X600. Qweas is providing links to WinBook Driver Updates Scanner 2.7 as a courtesy, and makes no representations regarding WinBook Driver Updates Scanner or any other applications or any information related thereto. Any questions, complaints or claims regarding this application WinBook Driver Updates Scanner 2.7 must be directed to the appropriate software vendor. 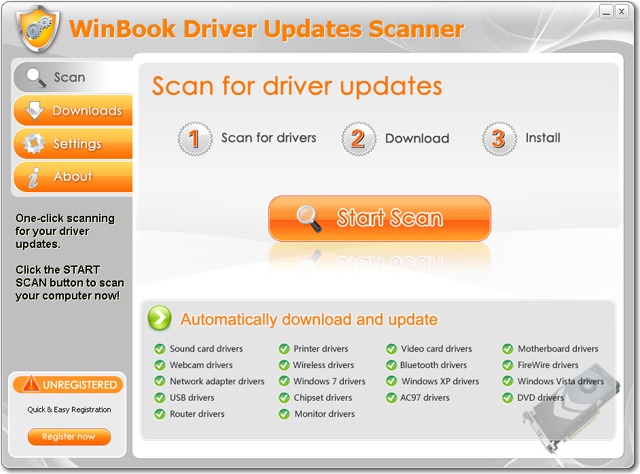 You may click the publisher link of WinBook Driver Updates Scanner on the top of this page to get more details about the vendor.